"Hey Hey Hey!" The catchphrase from the 1970s American cartoon series is etched into the counter top of Albert Park's Fat Albert. But that's where the resemblance ends. This breakfast and lunch space, once home to Truman, is all about chic Japanese interpretations of modern cafe dishes. 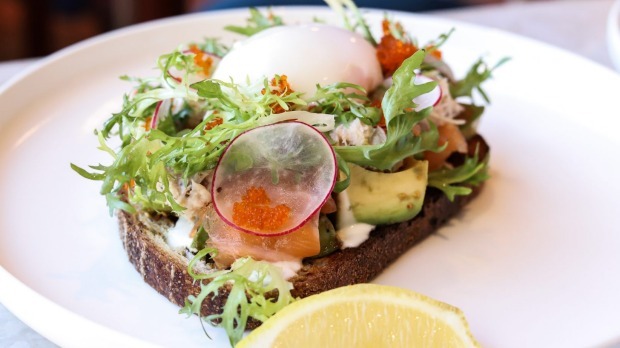 Take the California Toast, a kind of freewheeling deconstructed sushi atop Cobb Lane bread, featuring avocado, seaweed paste, cured salmon, crabmeat and vegan mayonnaise, all topped with a slow-poached egg. 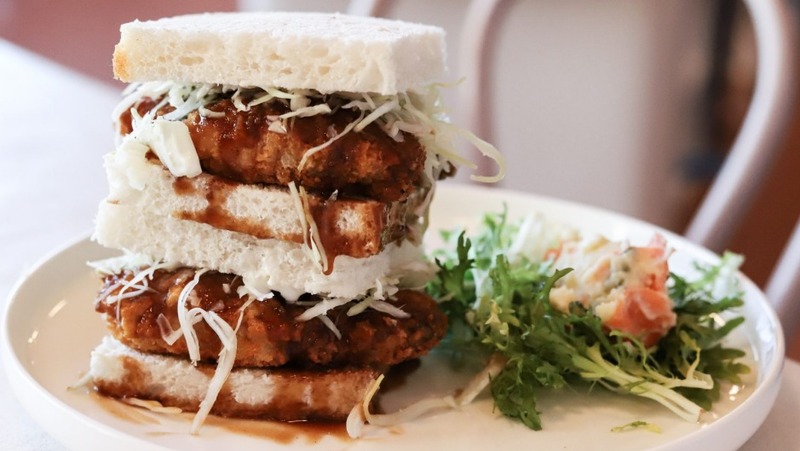 Elsewhere on the menu, there's a katsu sandwich with Bulldog sauce on white bread, Japanese rice porridge, apple crumble porridge and a shiitake and kombu-based ramen. 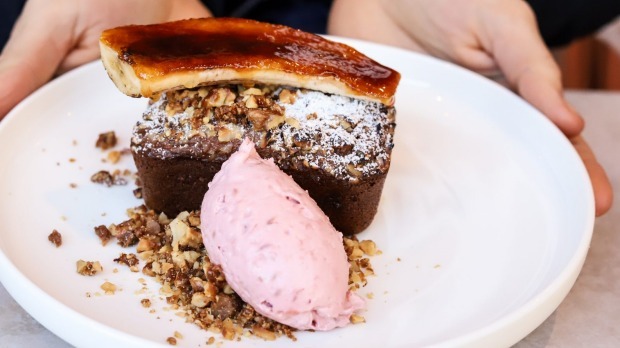 Conceived by friends chef Ryo Doyama and Lucy Halfpenny with Jake Ellis running the floor, Fat Albert is a playful move away from the clean eating rigours of Ryo's previous venue, Walk Don't Run, yet still offering dietary options and a children's menu. The contemporary peach-hued space is very much at home in the 'hood – there's even a "Dog Perignon" station outside for the fur kids. You might also find feline latte art on your Industry Beans coffee, another nod to the Japanese theme. Open Mon-Fri 7am–4pm, Sat-Sun 8am–4pm.